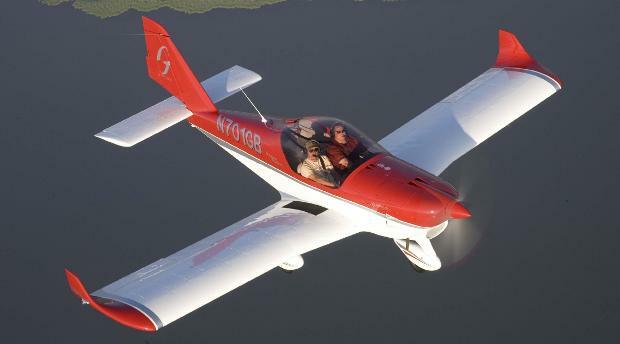 The Aero AT-4 had been developed in parallel to the EASA CS-VLA certified Aero AT-3 in order to meet the new US Light Sport Aircraft (LSA) regulations. It has already been successfully marketed in the USA for several years as the Gobosh G700S. Although the basic construction techniques and materials employed are fundamentally of the same high standard as its certified sister aircraft, the AT-4 has some notable differences. The most obvious of these is an increased wingspan, wing area and modified wing form needed to achieve the lower stall speeds required by LSA regulations, when compared to the European VLA category. Winglets and a larger elevator were also added as part of this process. The LSA regulations also permit the use of non-certified components such as engines and instruments, more commonly found in kit-built aircraft and microlight/ultralight types. This allows for some overall cost savings when compared to the fully certified aircraft. The AT-4 uses the 100 hp Rotax 912 ULS engine (the uncertified equivalent to the 912S). 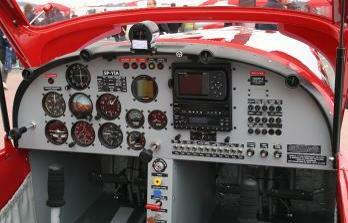 The simplified approval process for LSAs also allows a wider range of avionics and equipment to be offered. 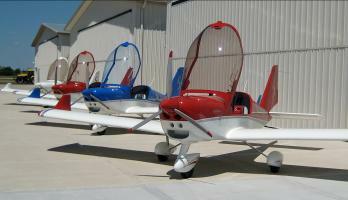 The AT-4 is now available to European customers under the EASA Permit-to-Fly system. This is an interim measure until the European Light Sport Aircraft category and related operational regulations come into force, which is expected to be within the next 18 months to 2 years. Are Night VFR and IFR allowed ? Although the American Light Sport regulations allow for flight in Night VFR and limited IFR under certain circumstances, this is not currently permitted in Europe. However the AT-4 aircraft can be fitted with the appropriate equipment in anticipation of future rule changes, as can the AT-3. The full implementation of the European Light Sport Aircraft category may bring with it a relaxation of some of these restrictions if certain additional requirements are met, but this is not yet set in stone. Potential owners who feel these restrictions may not be compatible with their own requirements can opt for the EASA certified AERO AT-3 VLA, which can be used for full PPL training, charter, hire and other commercial operations. Maintenance of LSA aircraft on an EASA Permit-to-Fly falls under EASA Part M regulations, which are those also applicable to certified VLA aircraft. The same level of pilot maintenance as allowed for kit-built permit aircraft is not permitted. However Part M does allow for a certain amount of pilot/owner maintenance, such as oil changes and other basic tasks. Further details are available from the Civil Aviation Authority website. These are guide prices as of June 2009. We will provide a written formal quotation on request.